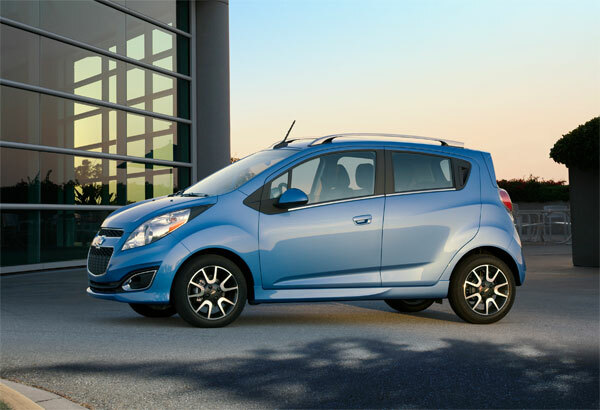 Los Angeles -The 2013 Chevrolet Spark Mini would be displayed for the first time on 16 of November 2011 at international automobile show, basic aim of demonstration is to give the idea of the product which is going to launch by the mid of 2012 in America and Canada. 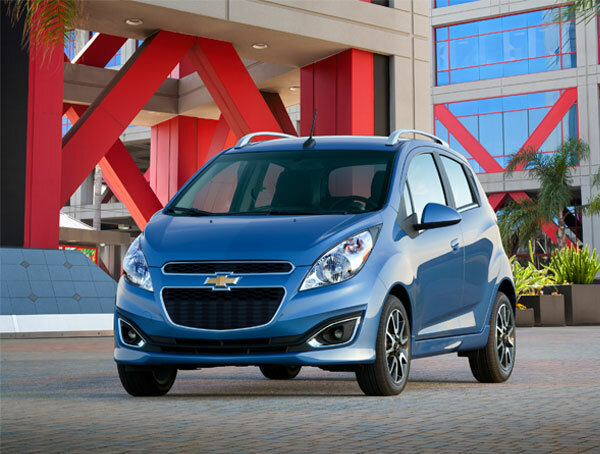 2013 Chevrolet Spark Mini aims to provide distinction in the range of small cars through its spectacular sporty vibrant exterior and enhancement in fuel efficient technology plus environmental friendly product. 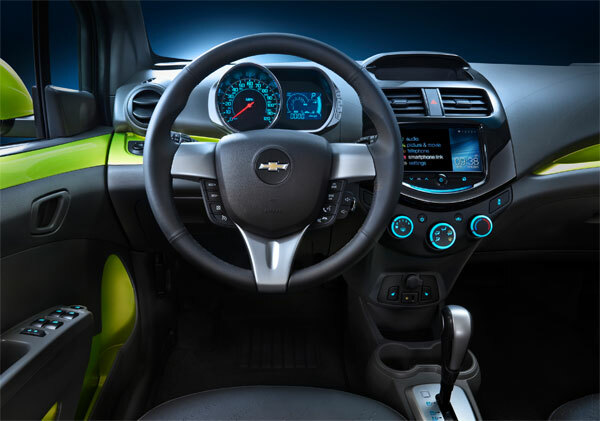 Though future prediction is difficult task but through transparency of Chevrolet Spark Mini knowledge one can able to make his/her mind what is the best option to opt because of wide range of unique features and colors plus it zones its user in affordability gives future a realistic approach to get it. Chevrolet spark mini features are of immense appreciation first its engine is Ecotec 1.2L 14 DOHC VVT a powerful engine with 5 speed manual transmission four cylinder and multi port fuel injection system gives max impact to its acceleration. Incorporating sustainability spark has accomplished in a way which ensures its sustainable features as eco friendly technology brings fuel efficiency improve and reduction in co2 emission rate ensures sustainability. 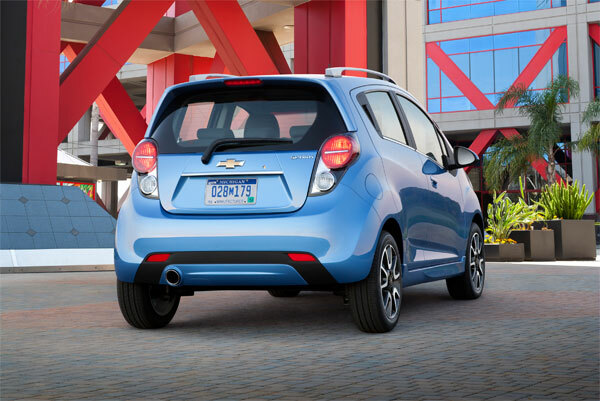 Chevrolet spark is 5 door spacious inside as compare to fiat, vitz, santro club but in order to enhance its sporty stance engineers had cleverly tackle and made its rear doors handle into c pillar portion. 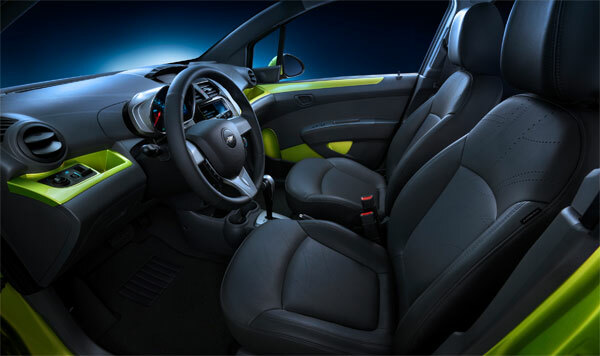 Interior is of great appreciation this time interior is made up of two colors combination mainly of grey black and partially yellowish green shade may be interior picture could give better and attractive look, speedometer styling deserves some wording as it displays speed digitally and through analogue way in cool blue theme and digital fuel information.